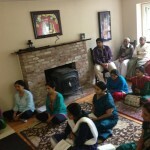 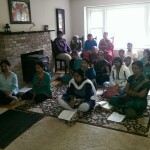 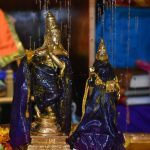 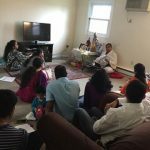 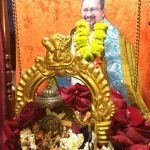 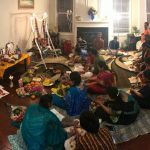 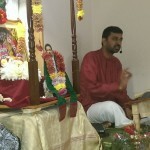 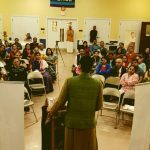 On the morning of October 4th, Srimad Bhagavatham satsang was held at Padhuka Dham – the residence of Sri Narayanan-Rekha at Concord near Boston. 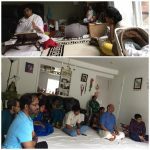 Devotees from Acton who had gathered performed ‘Bhagavatha Sangraha’ Parayanam followed by the discourse of Sri Ramanujamji on the greatness of Bhagavatham. 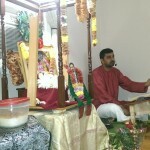 Satsang concluded with Mahamantra Kirtan and prasadam.